My first published books were resource books published by the Bible Reading Fellowship for Sunday School groups – there were four in total published as Not Sunday Not School resources. Following on from these I also contributed a number of magazine spreads for children’s activities. I often put together the literary aspect of programmes for concerts or reflections (occasions such as Good Friday) or fund raising events and then recite or read the poems (or prose) for the event. A few years ago I had been searching, but unable to find a suitable poem for a carol concert. I knew the kind of thing I wanted, but couldn’t find it. So, in the end, I wrote it myself. 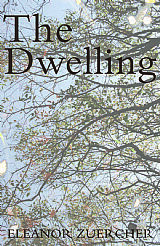 I’ve been writing poetry ever since and my first collection of poetry was published under the title “The Dwelling”. Some of the poems from the book are also published on my website where you can also listen to recordings of me speaking them. There’s also more recent work on the site which I do update periodically. I have read for larger events such as the Bloxham Festival of Faith and Literature, and for chamber music concerts in the music room at Stowe as well as for smaller local church and benefice events. My poetry has appeared in "The Sign"
I frequently read and recite my own work and that of others for poetic seasoning of concerts and talks in my local area such as the Bloxham Festival of Faith and Literature.